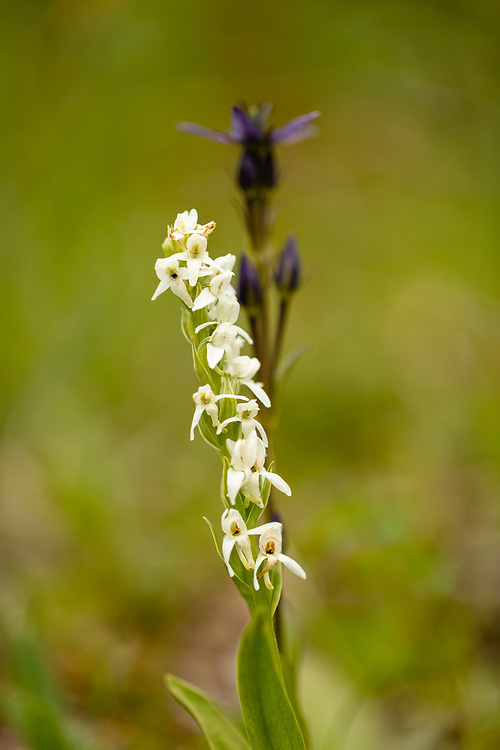 Closeup of Bog Candle (Platanthera dilatata) and Star Gentian (Swertia perennis) in Palmer Creek Valley in Southcentral Alaska. Summer. Afternoon.